In this segment of Medscape One-on-One, Dr. John Reed talks with Dr. Thomas Insel at the Celebration of Science conference about recent developments in diagnosing, managing, and treating neuropsychiatric disorders. Dr. Insel offers insight on how the use of genomics and biomarkers might ultimately change the practice of psychiatry, and what the next generation of psychiatric medications and treatments might look like. 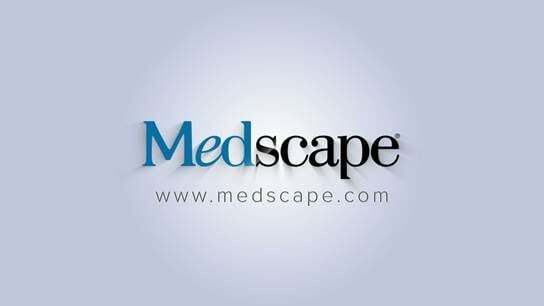 John C. Reed, MD, PhD: Hello, and welcome to Medscape One-on-One. I'm Dr. John Reed, Professor and CEO of Sanford-Burnham Medical Research Institute. I'm here today at the NIH campus for the Celebration of Science conference. Joining me is Dr. Tom Insel, Director of the National Institute of Mental Health (NIMH). Welcome, Tom. Thomas R. Insel, MD: Good to be here, John. Dr. Reed: This conference is all about the importance of medical research. In the case of mental health disorders, I don't think any of us would argue that we wouldn't benefit from more medical research, given the huge toll that mental health disorders exact on society. Depression, for example, is a leading cause of disability. And neuropsychiatric disorders are a leading cause of homelessness, along with alcohol and drug addiction. These mental health challenges are so prevalent. About 1 in every 4 of us at some point will seek medical attention for a neuropsychiatric disorder. Tell us about what you're working on at the NIMH. What are you excited about in terms that activities that are going on there? Dr. Insel: Just to emphasize your point about the unmet medical need, it is extraordinary. People tend not to recognize the huge public health burden and the huge costs for several reasons, one of which is that mental disorders are chronic and they begin in childhood. In fact, we often say these are the chronic disorders of children. We don't think about it that way often, but almost all of the disorders we're concerned with start in childhood. Schizophrenia; depression; most of the anxiety disorders, post-traumatic stress disorder (PTSD), for instance; and such disorders as autism all begin in childhood. And then they often take someone out of the productive parts of their life thereafter. At the NIMH, we're very concerned about how to better understand these conditions and finding ways to better intervene. What we're most excited about is a complete rethinking of what these disorders are about. For the past many, many decades, we thought about these diseases as behavioral problems. We even call them mental disorders. These are problems of the mind. But today we have a new biological understanding that lets us be able to study the mind through understanding the brain. That has brought about a revolution in the way to think about these diseases. We're able now to see that these are not just behavioral problems, but they are problems of brain function, problems of brain circuits. Sometimes that leads us to rethinking the way we diagnose and, hopefully, the way we treat them. Dr. Reed: Any of us who personally battle with mental illness or care for a family member with mental illness knows just how challenging it is to get the right diagnosis. And, of course, that's the starting point for figuring out what the therapy is. I understand that NIMH is trying to develop a new classification system and new ways to really think about how these diseases work. There's a concept around a Research Domain Criteria (RDoC) that could replace the Diagnostic and Statistical Manual of Mental Disorders (DSM) for the diagnosis of psychiatric disorders. Can you tell us more about that? Dr. Insel: RDoC is this very interesting new effort. I don't think it's going to replace the DSM in the short term, because we still need a clinically useful diagnostic system. RDoC is really meant for research purposes. It is a way of saying, just as we've done in the rest of medicine, that it's important to look at subjective complaints and to understand the symptoms and to use physical diagnosis to get an objective image and picture of what the patient is experiencing. But let's add to that the use of biomarkers. Let's look at family history. Let's look at genetics. Let's bring a whole series of different kinds of information to the table to say, is autism one disease? Does everybody who has a label of depression by their symptom cluster have the same disorder? Or is it going to turn out to be more along the lines of the way we think about fever today? Sure, everybody may have a temperature of 103°F, but that could be from many different causes. And, of course, those would be treated with very different interventions. That's probably the way we want to think about depression, autism, schizophrenia -- all of these terms, these labels, that we have presumed somehow match with the biology of these disorders. We're finding out that they don't match. In fact, depression is probably many different disorders requiring many different kinds of treatment. What we're looking for is a kind of precision medicine where we can do, for instance, what's happening today in cancer, where we think beyond just the presenting symptom. Instead, we begin to bring many levels of information to the table to give the most precise diagnosis. Genomic Medicine for Psychiatry: Ready for Prime Time? Dr. Reed: The challenge of disease heterogeneity is always a real struggle for trying to understand how to treat the patient. You mentioned the research context, using genomics and biomarkers. How soon do you think it will be before those sorts of approaches will be ready for prime time? Before a psychiatrist in practice will be using genomics and biomarkers to help decide how to best approach the management of patients? Dr. Insel: I'm absolutely confident that will happen, but I'm not confident about when. I think we are at the point where we can bring neuroimaging in a research framework to say that these different patterns are associated with this different form of thinking or emotion regulation. That's actually part of what RDoC is trying to do. It's to get away from the kinds of labels we have today and to begin to understand abnormal behavior and abnormal thinking in terms of abnormal circuitry of normal brain function. And we're getting there. We actually are getting there much more quickly than I might have thought 5 years ago, because we have much better tools to do this than we had in the past. But whether it's going to be 2 years or 10 years, I think will depend on a lot of the specific problems that we're wrestling with. The key part now is to reframe the conversation and to help people to understand that this is where we need to go. We don't need to try to fit all of the data into the DSM. We need to fit what we're seeing in the clinic into what we understand about brain function and brain circuitry. Dr. Reed: We also heard at the Celebration of Science conference some of the poignant stories of some of our wounded warriors who are coming back from the wars of the Middle East. These challenges have left our nation with a huge mental health burden in the form of military personnel who are returning with neuropsychiatric disorders, particularly PTSD. What's your personal opinion about the severity of this problem? And what should we be doing about it as a nation? Dr. Insel: This is probably the largest single project that we have going on today at NIMH. It's a large collaboration with the Department of Defense and specifically with the Army. And we are enrolling 100,000 soldiers into a massive study called the Army Study to Access Risk and Resilience in Servicemembers. This is with the army. And it's very much modeled on the Framingham Heart Study. The argument is that we just don't understand enough about the problem of what it is that causes some people to be susceptible to neuropsychiatric disorders, whether it's traumatic brain injury (TBI) or PTSD or depression, and ultimately suicide. The Army came to us asking for help because they were so concerned about the increase in suicides. As you probably know, since 2009 the Army has lost more soldiers to suicide than to combat. So, this is a major issue for them. The suicide rate has more than doubled, and it continues to be high. When we first got into this and started looking at what might be the drivers for this increasing rate, everybody had an idea. And everybody was partially right and partially wrong. It turns out to be far more complex. We actually do need a Framingham-like study that helps us to understand over time what the drivers are and where we can best intervene. The key for this now is to identify what we call concentration risk -- to understand whom, out of the 500,000 soldiers that we're looking at in total, are the 1% or 2% that we need to be most concerned about. We're getting a pretty good handle on that. We're not quite where we want to be. But we've been able to concentrate risk already to a large degree. I think the next stage is to get a little bit better; hand this off to the Army; and work with them to be able to intervene to make sure that we can bring down the rate of PTSD, depression, and suicide in a group that is at very high risk. Dr. Reed: I want to change gears a little bit. In addition to your leadership role at NIMH, you're also a very active researcher. You've been doing work in a variety of areas of neurobehavior and neurodevelopmental disorders. Tell us a little bit about what's happening in your shop. Dr. Insel: I wish I had a shop. When I came to NIMH, I had been a very active scientist. I had for 20 years been at the bench doing experiments every day, and it was a huge part of my life. When I came to NIMH, I decided that I was going to do strictly public service, and that this was a job that required 120% of my time and 120% of my energy. So I handed off the laboratory to people who really could give it 100%. And they're doing great stuff. That laboratory worked on the neurobiology of social behavior, which we did in a whole range of different interesting organisms and had a huge amount of fun with it. One thing that it did give me was an appreciation for the power of being able to go from good ideas, from fundamental neuroscience, to thinking about how to translate that into what it is we need to do in the clinic. Where that became most important was in the study of autism, where a deficit in social attachment and social behavior is a core problem. I'm delighted to see that some of the work that we did 10 years ago or more that had to do with how to increase social interaction and social engagement is now actually finding its way into the clinic. People are testing out whether some of the compounds and some of the ideas we had then might actually be the first effective treatment for the core symptoms of autism. Dr. Reed: That's exciting. I know you must be personally gratified to see some of that foundation work you've done is now finding clinical application. Dr. Insel: What's great about it is it reminds us all that a lot of the basic science that we do has got to continue because we just don't understand enough. But what's really curious is that often we are working on a problem on a very basic level that has an application we could never have dreamt of. And that some of the most exciting applications are the ones we're not smart enough to think about. It's all the more important that we continue to support and we continue to build this base or foundation of outstanding basic biomedical and biobehavioral science, so that we have some kind of a pool to be able to select from when we need to do the applications. Dr. Reed: The next thing I want to talk to you about is a good example then: stem cell technologies and their role in neuropsychiatric disease research. Stem cell technologies now make it routine to capture cells from patients with neuropsychiatric diseases, synthetically convert those cells into embryonic stem cells in the laboratory, and then program those stem cells to become neurons so scientists can study the patient's brain cells. How is this type of technology changing the course of mental health research? Dr. Insel: It's going to be huge. I mean obviously, we're talking about disorders that start in childhood. They're fundamentally neurodevelopmental. But we can't see that. And the sense that we have as we think about these illnesses is that behavioral symptoms are a late phase. There's a lot going on in the brain before the behavioral manifestations of schizophrenia or depression, or perhaps even autism, begin to manifest. But how do you get to that, because you don't know where to look and you don't know when to look? This spectacular new technology allows us to take cells from a person with a disorder and rerun the tape; grow them up in a dish and to the extent possible create what we call a "disease in a dish"; actually look at the cell of interest and perhaps eventually the circuit of interest; and see how that plays out over time with a particular genetic mutation or without, or be able to compare that to people who don't have that disorder, or maybe people who have the same mutation and don't develop the disorder; and get a feeling for what the mechanisms might be. When does development go off the track? That's going to be the fundamental biology. I think this is going to be a revolution in the way we think about and the way we can ultimately potentially diagnose and treat any of these neurodevelopmental disorders. Dr. Reed: It sounds a little reminiscent of what we heard today at the Celebration of Science conference about the stories around Alzheimer disease, for example, where we don't see symptoms until the brain is quite diseased and quite damaged. And yet we know that very early, there are telltale symptoms and changes in the brain that we can detect with advanced MRI and other technologies. Dr. Insel: This is really a key issue, John, and I guess in this conversation is one of the most important messages to send. We talk about these as behavioral or mental problems. I think we need to think about them as brain disorders. Why is that so important? It's important because if behavior is a late manifestation, and if that's how we make a diagnosis, it's like saying we're only going to diagnose heart disease after the heart attack. We wouldn't do very well. We wouldn't have gotten the 67% reduction in cardiac death if we waited until everybody had their heart attack to intervene. But that's exactly what we do in schizophrenia. We wait for the psychosis. We wait for the late stage of behavioral manifestation. Why do I care so much about calling these brain disorders? Because if we can start to talk about them and start to detect the brain changes years before the behavior starts, then there's the opportunity to intervene early. And that's where we do best in medicine. Early intervention, preempting the later stages, is where we've had our greatest successes. We haven't been able to do that in psychiatry because we've locked ourselves in to saying that these are mental behavioral problems. We have to change our language. We have to change our concepts. We have to change our expectations. And at that point, we'll start to see, I think, the really big public health impact. Dr. Reed: Speaking of interventions -- at least with respect to medical interventions, one of the current frustrations with treatment of many psychiatric illnesses is the trial and error process that many patients endure with respect to medications. By some estimates, the average patient will try 5 different medications before finding one that works for them. How do you see the field of neuropsychiatry improving our ability to match the right patient to the right drug? Dr. Insel: That is in some ways the Holy Grail. We certainly want to get to the point where we have precision medicine, meaning precise diagnosis and then targeted therapies for the individual in need. Some of that could come from pharmacogenomics. Some of it could come from cognitive testing that allows us to define what different kinds of disorders somebody has. But I would push you a little bit on this issue, because I think the idea that there will be a single treatment is probably not the way to go. These are complex disorders, and we understand in many areas of medicine that it takes a combination of treatments. In the case of brain disorders, it's likely that there will be medications, devices, some great new cognitive interventions that we can do with video games, and other kinds of rehabilitative services. I don't think we're ever going to get to the point where there will be a single pill for autism or a single pill for schizophrenia. In fact, I think what we'll find is that part of the problem that we've had with the lack of public health impact in the treatments that have been prescribed over the past 3 or 4 decades is that we have too often expected that there will simply be a pill to fix what is a very complex and difficult biomedical and behavioral problem. It's going to require many different kinds of interventions to get to where we want to go. Dr. Reed: That's to be expected. Certainly, the brain is the most complex organ we have. And if we think about the way we treat other diseases, such as cancer and heart disease, we rarely rely on a single magic bullet to get the job done. With HIV and other diseases, it's always a combination of therapies used to attack the problem multiple ways. So I think we can relate to what you're saying there. We'll be excited to see how your research and the research sponsored by NIMH are going to help us come up with those right combinations. Dr. Insel: Doctors know this, because in practice almost all patients with serious mental illness are on multiple drugs. The problem is that we haven't provided the evidence base or the best guidance on how to do this. It goes back to your question of figuring out what is the specific need of each individual and providing a road map for how to match those needs to the various treatments that we now have, and ultimately developing much better ones. Dr. Reed: One of the other great needs is that although we have a number of medicines we can use to try to approach neuropsychiatric disorders, we need far more with new mechanisms of action. The alarming thing is that neuropsychiatric drug development has virtually dried up, with several large pharmaceutical companies exiting the field. To quote a recent Schizophrenia Bulletin editorial, "not a single mechanistically novel drug has reached the psychiatric market in more than 30 years." What are the current challenges and the opportunities with discovery and development of innovative therapeutics for neuropsychiatric disorders? Do you see any improvements coming around the corner in the near term? Dr. Insel: I think there are some opportunities, and I would agree that there has been a real desert of innovation here. In some ways, we're victims of our own success. We had compounds discovered by serendipity that were pretty good. They're not good enough, but good enough for the marketing process. And so we've seen a lot of marketing of compounds that help some people to get better, but help very few people to get well. The next generation of medications and the next generation of treatments are badly needed. The reality is that we don't know enough about how to do that, partly because so much of what we've done has been to study the current medicines rather than to study the disorders themselves. It's as if schizophrenia was caused by lack of Thorazine or depression was a matter of being a quart low in serotonin. We now know that we can study these disorders in a far more sophisticated way. And there will be that kind of science, that kind of new biology -- biology that has to do with synaptic efficacy and synaptic plasticity, with neurodevelopment, and with a whole series of complex aspects of neuroscience that will guide us in the future. But that is very much a future project. In terms of the here and now, what are we going to be able to do in the next 2 years? Let me give you 3 ideas that I think are promising. One is the idea that as a proof of concept, we now know that for people with severe depression -- often treatment-resistant depression -- a single injection of ketamine, an N-methyl-D-aspartate (NMDA) antagonist, can resolve this depression within 3 hours. Now, the effect doesn't last; symptoms come back in 3-5 days. But the concept of not waiting 6-8 weeks for an antidepressant to work, and realizing that there could be antidepressant compounds that would work in 3 hours, is a game-changer. And it's one that says to us that we need to rethink the expectations and the kinds of interventions that we've been developing, to get to something that is far more effective much earlier. So the first promising idea is rapidly acting antidepressants. The second is that we have had a very robust market for antipsychotic compounds. There is something like 20 on the market now. It's about a $14 billion industry. But you know they don't help people recover in the sense of getting people back to work, getting them through school, and helping them be able to relate to their families. We still are left with people who may not have delusions and hallucinations, but they have a whole range of cognitive problems that keep them from being successful. That's unacceptable. What we need now is the generation of compounds that affect that particular target, the cognitive deficits. We've got some ideas about how to do that. And there's a whole series of compounds now being developed with just that kind of a target. That's a game-changer as well and could really alter the public health prospects for people with this chronic illness. Third, we look at autism and the social deficits that you see in that whole range of disorders that we now call the autisms, along with schizophrenia, where social deficits are huge. The possibility that there could be a family of compounds that are prosocial and would actually increase social behavior is just emerging. We're seeing this with some of the neuropeptides, with metabotropic glutamate receptor 5 (mGluR5) antagonists, and with the first studies that are being done with fragile X syndrome, and we're finding that some of the compounds that are being given to persons with fragile X syndrome seem to be most helpful for the social deficits in that disorder. This is a kind of new era to think about a whole new category of compounds. These 3 ideas -- the idea of rapidly acting antidepressants, therapies for cognitive deficits in schizophrenia, and the possibility of a prosocial group of compounds -- I think could really be exciting areas for research and development in the near term, with the idea that in the longer term, we're really going to be able to tap into the new biology, which in some cases may be much more transformative to tell us where the actual cures might come from in the future. Dr. Reed: The concept of new biology to be discovered certainly emphasizes the importance of public investment in medical research, and that's what the Celebration of Science conference has been all about. I want to close by asking you one other question about your role at the NIH, because you wear a second hat as the director of the exciting new center, the National Center for Advancing Translational Sciences. Tell us a little bit about what you're doing there, and about what some of your vision is. How does your work there relate back to some of your goals and what you're doing as the director of the NIMH? Dr. Insel: Well, I had enough to do with NIMH without taking on a second full-time job. But it's been a fun ride. At the end of December, NIH launched this new center, called the National Center for Advancing Translational Sciences (NCATS). NCATS has as its mission to essentially catalyze innovation in the space between basic discovery and its translation into clinical practice. How do we figure out the ways to get around all of the barriers to translation? There are many. What we've been doing at NCATS is making a small investment -- only about 2% of the NIH budget. But it is a catalyst. It is an opportunity to create some of the tools the community needs, as well as the resources, databases, and places that people can go to learn about where we can use the fundamentals and make them move more quickly into new diagnostics and new therapeutics. Two examples of this are projects that we've launched in the past few months, which have been our first few months with NCATS. The first was to put together a sort of medicine chest that could be crowd-sourced to the academic community. We have lots of compounds, including some in the central nervous system space that pharmaceutical companies have decided not to pursue. They may have invested $10 million, $20 million, or $30 million into getting these compounds into a phase 2 trial space. And then for lots of reasons, sometimes business reasons, they've decided to go elsewhere. That has happened a lot in neuropsychiatry. If they're not going to develop those compounds, we might have an interest, either for the same indication or perhaps for a novel one. We put these into this medicine chest that academics could use. We've done that with 8 companies -- 58 compounds initially, along with the data that went with them -- and we're inviting the academic community to come play with us, to try to help with many of these compounds to use them for some new indication that hadn't been thought about before. The second project, which is something we heard a lot about when we were developing NCATS, is that we went to a lot of industry and to various stakeholders and lots of different patient communities and said, what do you need? Where's the problem? Why aren't we able to do better? Why is it that with 4500 diseases for which we understand the molecular basis, we're only able to actually provide therapies for a small fraction, maybe 100 or 150? And we're only getting 35 or 37 new compounds a year through the US Food and Drug Administration (FDA). Where's the problem? Where are the roadblocks? One of the things we heard a lot about was the problem of toxicity: that we don't have good predictive toxicity, and that the studies that have been done in mice and rats don't translate well. So we’re looking at toxicity and we’ve launched DARPA (Defense Advanced Research Projects Agency) as our second project. This is an opportunity to create human tissues on chips for high-throughput screening. We just put this project out there with the first set of awards, which will be about $140 million between DARPA and the NIH. NCATS is directing this project. The hope here is for lung; for kidney; and for a whole range of tissues, especially liver, that we'll be able to predict much better than we have been with mouse and rodent studies because we'll be using human cells in a human context. And we'll be able to do this in a high-throughput way so that we'll have a sense of what we do need to worry about before we move into a phase 1 trial. Those are a taste of the kinds of things NCATS hopes to do going forward to make the process of translation a little faster, and hopefully a little more efficient, so it's a little more productive. I think you'll see us crowd-sourcing a lot more, using a lot more kind of innovative approaches to catalyze this entire process to deliver better -- which is very much what people are looking for when they look to biomedical science, as you heard today in all the conversations. Dr. Reed: It's certainly been an area that has been exciting to hear about in some of these advancements in so-called regulatory sciences. And the idea that if we can identify where these bottlenecks are, where the attrition occurs in drug discovery and drug development, and come up with scientific tools that allow us to figure out those problems early on and make sure we get the right compound in the clinic, it's really going to help hopefully drive down the cost and increase the efficiency. I think we've all heard the terrible statistics where it takes an average of 13 years and about $1.3 billion to develop a new medicine. We really applaud you for taking on this area and trying to develop some of these tools that are so much needed. Dr. Insel: We're excited about it. But I need to put in a note of caution here. This is hard. If it were easy, it would have been done before. And lots of people have tried, often with a lot more investment than what we're able to put into this through NCATS. We're going to bite off little pieces and work on those. And we're probably going to do them in partnership, just like this idea of working with industry for the compounds that they're not going to pursue. I think what you'll see through NCATS are new ways for NIH to begin to partner with a range of stakeholders to provide more value. Cite this: Three Promising Ideas in Psychiatric Drug Development - Medscape - Sep 21, 2012. Disclosure: Thomas R. Insel, MD, has disclosed no relevant financial relationships. News Mental Health Apps: Boon or Bust?